SMART MEETINGS - Once a year you gather the entire company for a celebration of what makes your business special. Why not hold it somewhere memorable—say, the rolling hills of California’s Wine Country? The Napa Valley now offers three new ways to meet vineside. The Meritage Resort and Spa in Napa has long been a favored destination for event professionals because of its vineyard location and abundant meeting space (not to mention a bowling alley and executive spa). In August, Vista Collina Resort, a sister property, opened across the street, bringing the total indoor and outdoor meeting space to 80,000 sq. ft. with 467 guest rooms. The Vintner’s Room offers a soaring, exposed-brick and rugged-wood space with levered glass sides that open up on Village Lawn. Plus, a rooftop terrace can serve up wine and views to 120 people. The addition is also home to nine tasting rooms and a professional cooking school. 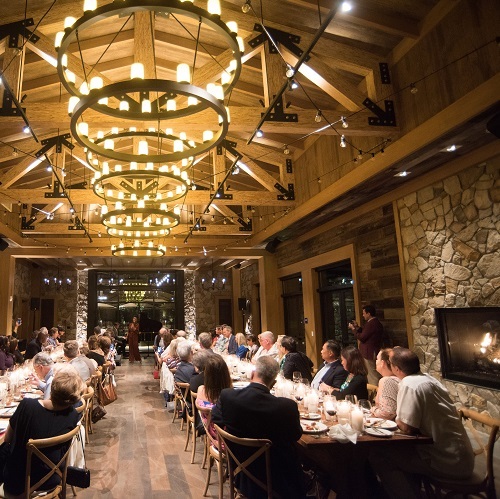 An underground estate cave on the Meritage side of the property hosts intimate corporate wine dinners.